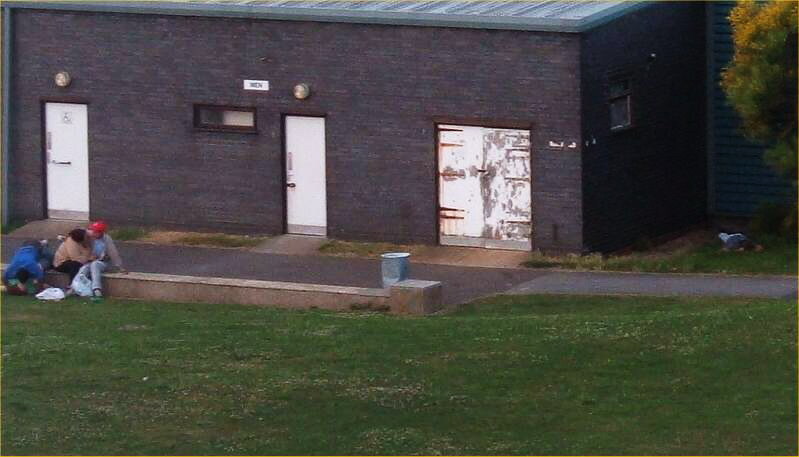 One of our readers has sent in an action photo of young "drunks" in action at the Thanet Bowls club, he writes. Mind you, this could be a spurious allegation and the teenagers in question may simply be very tired. Note the boy slumped in the far right hand corner under the tree. "The policy stems from the so-called "broken windows" theory, which suggests that a broken window of an abandoned building leads to the decay of a neighborhood and, ultimately, to more serious crimes." It adds: ""If you don't respond to those street-corner offenses," he said, "then the neighborhood has no confidence in the police." Finally, there's something very wrong, I suspect, taking place at Westgate station in the evenings and you don't have to be Inspector Morse to work out what it is. Waiting for my train yesterday, I was astonished by the density of disposable BIC lighters on the track (to Victoria), a big increase on the last time I was there a couple of weeks ago. We also have bits of wire large rocks and other detritus, aimed, I assume at the live rail and discarded pieces of silver foil. Add the BIC lighters to the silver foil and what class A substance might you associatewith the two? And I forgot to mention, the shelter has been smashed too. Perhaps we could learn something here in Thanet from the police initiative taking place in Orlando. I made two passes today around that area to see for myself what was going on. 3pm. Not too much trouble. 3 men sitting on a bench drinking a few beers. No threat though. 9pm. 5 people at the Walpole Bay Hotel shelter drinking beer. Went very quiet when I walked by, which is a little intimidating. Those in the photo werent there when I walked round there. As for the guy who passed out on the right...hes not hurting anyone, and Im sure he'll be nursing a very sore head when he wakes up if alcohol is the reason. Er......can't see anyone on my screen...................maybe needs lightening up a bit, or maybe its just my screen? Anyone else see anything except a heap of trash - I cannot even see a tree!